Open 7 days a week 12 noon to 2.30 pm and 6 pm to 9.30 pm. Sundays we serve food all day from 12 noon to 8 pm. Our restaurant is a character room with wood panels and low beams and is set on two levels, perfect for romantic tables for two or large parties up to 40 people. Our main casual dining area is located in the main Pub and has loads of character with flagstone floors, real open log fires and low beams. Whilst everyone was lovely and helpful I felt quite sure we had been forgotten about. Our starters arrived swiftly and then there was a very long wait for mains and other tables seem to get their food quicker. We arrived at about 1.20pm and we didn’t leave until after 3.30pm. They gave my table to someone else who claimed to be me! Had to wait around while another table was made available for us. Eating dessert at 10pm on a booking for 7pm is completely unacceptable. Service levels were awful. Much too slow and inattentive. Only half our table was cleared after main course. No offers of fresh drinks, needed prompting for cutlery. Asking us if we want to see a dessert menu after we'd sourced one of our own and ordered already sums it up (still took 30 mins for food to arrive even when others had left). Left the table and paid bill with dessert dishes not cleared from table. Such a shame service levels don't match the food quality. Very frustrating and irritating evening. Lovely place to stay and we will return. A little noisy through the walls in the morning with the noise of people getting up and leaving. 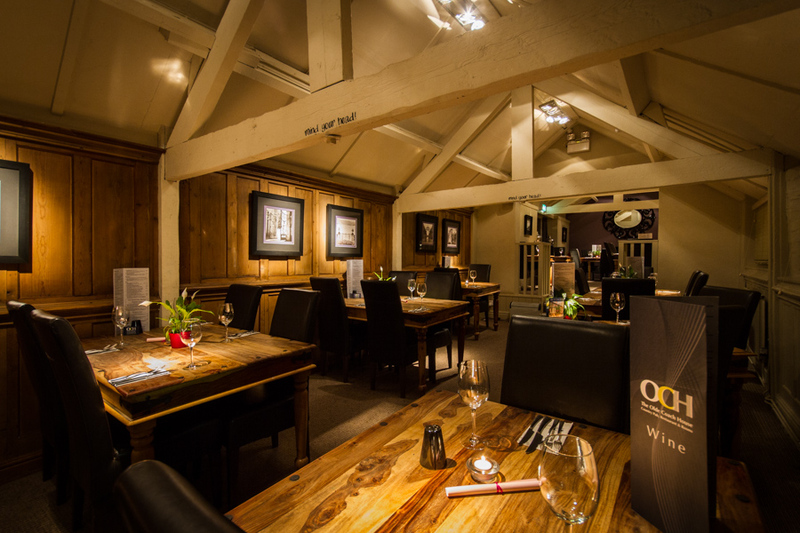 We have dined at the Old Coach House on several occasions and have generally found the whole experience good. On this occasion, the service was very slow. We arrived about 15 minutes after the time we booked, but we did not start eating for a further 90 minutes, and no reason was given for the long wait. When the food arrived, it was the usual good standard. The place was uncomfortably cold. Strange menu. Very expensive!! 4 glasses of Sauvignon Blanc for £47!!!!!!!. The food/wine wasn’t good enough to warrant the prices. Great Sunday lunch. Friendly staff. Reasonably priced. Young guy who bought food and removed plates was friendly and polite. Rest of service not great. We flagged issue with dish as to why not all eaten. Was still charged full amount for obviously over cooked food. Good food, fabulous service, relaxed and welcoming atmosphere- definitely recommend and we will be back! Although we had a reasonably early booking, some items on the menu were in short supply, and we waited ages for our meal. Granted we were told there would be a long wait and they encouraged us to order breads to keep us occupied till the food did come out - I think these bread should be complimentary if there is going to be a long wait, since we would not have had them otherwise. The wild mushrooms were tasty, but I had a large chunk of garlic with skin still attached. The venison was rather underdone for one of our party and thus rather sinewy, needing a steak knife which wasn’t automatically brought to those ordering the venison. Sauté potatoes were burnt, and yes, we could have sent them back, but how long would we have waited for a replacement? As these were with the last of the venison it would have meant the meat being kept warm while a new portion of potatoes were cooked. Otherwise the rest of the food was good, and tasty. The restaurant was cold, with a draught coming from the window behind us. Once the restaurant started to empty, you could really notice the chill. It’s an old building so we do understand it’s not easy to keep warm, but some insulation at the window would help on such a cold night. The service was friendly and efficient and the food quite a bit classier than most pub/restaurants. With a varied menu and a nice old-but-modern feel, this will be a regular for us from now on. 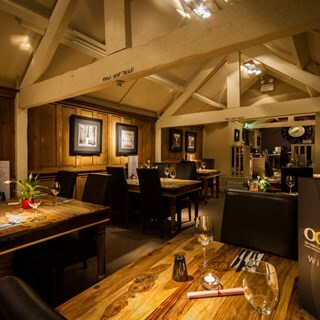 We really enjoyed our visit to OCH however we were disappointed that there was so little choice on the set menu. The fish pie was absolutely delicious and the vegetables cooked to perfection. Friendly staff and lively warm fires. Friendly, efficient service. Food choice and quality very good. meal, but had no reply as yet. We were not at all happy with the service received. It was terrible! We've visited the OCH many times over the years, most recently twice over the Christmas period (once for a drink, once for a meal). To be honest, the food has been variable, mostly excellent, but occasionally dreadful, but the varied menu was very good and the sandwiches offered at lunchtimes were always excellent. This time we were surprised, and a little disappointed to find that the new owner has introduced a new menu offering considerably less choice. That said, the starters were excellent and my wife and daughter really enjoyed their mains. My main (fish and chips) wasn't great to be honest, the chips weren't as good as they have been in the past, the fish was fairly tasteless, and the peas were cold. Of greater concern though was that on both visits the place seemed much less welcoming than it used to. The roaring log fire which was one of the main attractions during winter was a single glowing ember on our first recent visit and was out on our second. The service was efficient and polite but lacked the previous personal touch, and the general atmosphere was somewhat lacking, due primarily I think to the fact that there were very few customers in despite this being a normally busy time of year. So it's disappointing really. We would have expected the new owner to have the enthusiasm to make some positive changes to enhance the customer's experience, offer more choice, an improved ambience and maybe to spruce the place up a bit, it's looking rather tired. Instead it seems that cutting costs seems to be the highest priority, and given the few people in on our two recent visits it seems that people are voting with their feet. Because we love visiting the village we will continue to call in for a drink from time to time to see how things are going, but we won't eat there again until we see things improving, a warmer welcome, a log fire in winter, and a more varied menu. Until then we wouldn't recommend the OCH to anyone. Fantastic venue for our team Xmas lunch. This was our annual lunch out with one of our suppliers, we were all very impressed with the menu and the quality of the food. As always the staff were very attentive without being intrusive. We will definitely be back and would highly recommend The OCH to friends and colleagues.